Tiny Farm Blog is a comprehsive account of what a few folks with a couple acres of land, some basic tools and a Kubota can do. Tiny Farm is located in Ontario, Canada and is in its sixth season of harvest this year. The author of the articles takes its readers through the various challenges of growing organic food having come from zero farming or agricultural experience back in 2002. Based on their articles and photos, I’d say that that Tiny Farm had done pretty well for itself, the best far for us though, is getting to see some action shots of their Kubota! Tiny Farm employs a Kubota B1700 they purchased second hand in 2003 but later upgraded with a new LA302 loader and 48″ rototiller. 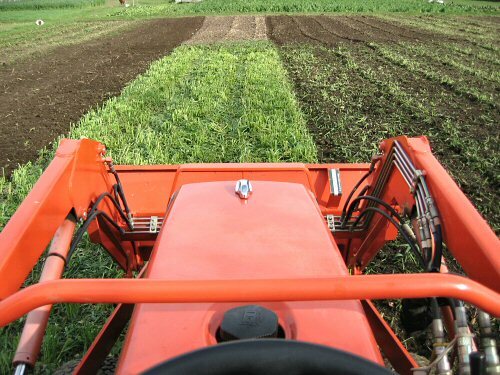 From their articles, we get to see some candid shots of our favorite orange tractor rototilling, suffering through a rototiller breakdown and demonstrating some other novel uses. 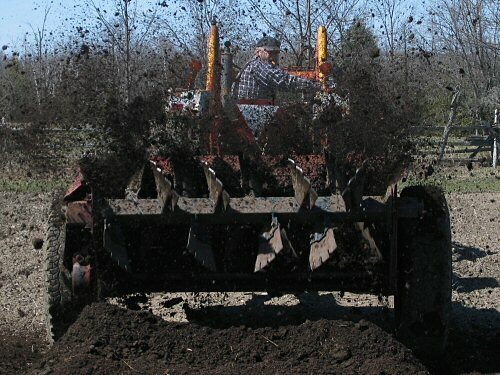 The articles also dishes out handy loader tips for clearing beds in the preparation stages. My favorite shots are those of the spreader in action! It goes without saying that one should stay well back of that implement! Head over to Tiny Farm Blog to see a Kubota put to good use and a healthy dose of inspiration.